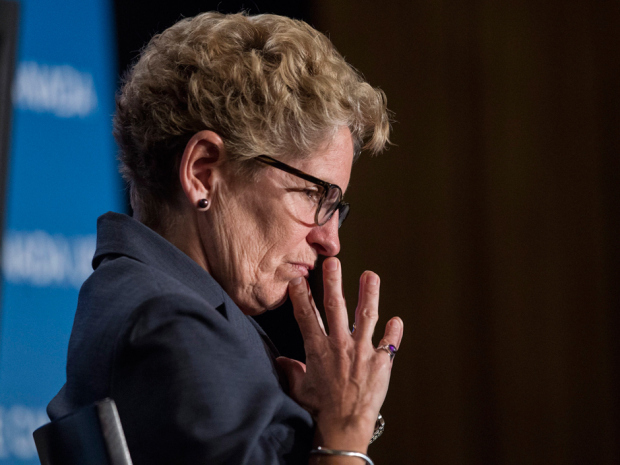 A new Fraser Institute report raises serious questions about the veracity of the Ontario government’s claim that a new provincial pension plan, intended as a supplement or alternative to restructuring and expanding the Canada Pension Plan, is needed because of a savings shortfall among retiring Ontarians. As we have previously argued on this subject, however, the claim that retirees are not sufficiently funded — both with savings and existing pension benefits — is dubious. Indeed, a wealth of evidence suggests that a majority of Ontarians are saving enough through private and public investment vehicles to maintain their standard of living through retirement. On this ground alone, we should be skeptical of the Wynne government’s proposal. But the Fraser report goes further in demonstrating that the fruit of more government-mandated savings schemes — which is what the Ontario Pension Plan will effectively be — would likely be offset in private savings. At least this is what happened before, according to the study, when mandatory increases to Canada Pension Plan (CPP) contributions came into effect in the late 1990s. With each new percentage point of earnings mandated for contribution, the report finds, there was a “substitution effect,” namely a 0.895 per cent drop in voluntary savings. In other words, an additional dollar contributed to the CPP led to a proportionate decrease in the average household’s private savings. If such findings prove consistent with the implementation of this provincial plan, then the entire exercise will be a waste, leading to greater government control over retirement savings than is currently the case. The report also rightly points out that government-mandated savings offer less flexibility than private savings vehicles such as RRSPs, which allow Canadians to withdraw money to pay for a home or their education. Of course, reduced private savings mean not only fewer options for what one can do with those savings, but also greater dependence on government to doll out one’s retirement income. Perhaps the worst part of this story is the way Ontario’s new pension plan is being sold as a kind of gift from the government, rather than a further burden to be borne by workers for the sake of questionable outcomes. The government will be taking your money for safe keeping, thus forcing you to save on its terms. Moreover, maximizing the return to pensioners is not the only goal here: it is also going to provide “new pools of capital” for government projects; in other words, a tax hike under the guise of a retirement savings plan. And by diverting money from private investments, it will reduce the amount of capital available to the business world — the economic engine of our country that, unlike government, actually creates wealth and encourages job growth. It would be far better to encourage private savings, thus giving individuals and households more control over their financial planning, rather than making them more beholden to the unreliable investment prerogatives of the government of Ontario. That would be a retirement savings plan worth supporting. Unfortunately, I wouldn't expect anything less from the Fraser Institute and National Post than the pathetic drivel being put out on the Ontario Retirement Pension Plan. Let me briefly share with you my thoughts on this new report. First, I don't dispute the claim of the authors that increasing CPP contributions or ORPP contributions will lead to less private savings but the reality is that far too many Canadians dreaming of retirement are not actually saving for it. Second, and most importantly, so what if there is less private savings? Banks, insurance companies and mutual fund companies will all cry foul but the reality is they're all more or less charging Canadians outrageous fees, peddling the same mediocre funds which drastically underperform public markets over a long period (I'm talking about the bulk of funds here). Third, and related to the second point, the authors of this report conveniently ignore the brutal truth on defined-contribution plans. The truth is defined-contribution (DC) plans are vastly inferior to defined-benefit (DB) plans for many reasons, chief among them is they're expensive and largely rise and fall with the vagaries of public markets. In other words, there are no guarantees with DC plans, if a bear market develops when you're getting ready to retire, you're pretty much screwed. Invest in public and private markets directly or externally with some of the best global money managers. Private equity is trying to tap the DC pension space but this won't change the fact that DB pensions have an advantage because they invest directly into private markets and funds, and co-invest with GPs on large transactions. Finally, there is one big myth that really irks me which I want to lay to rest. The assets of Canada's top ten and most other DB pensions are a product of investment gains over the long-run. Contributions from employees and sponsors make up a small part of assets. Over 2/3 of the growth in assets comes from investment gains, not contributions, a true testament of the power of compounding but more importantly, of the governance of these plans which allows them to attract professionals who can add significant value-added over public market benchmarks, lowering the cost of these plans. Fifth, apart from these benefits, DB plans offer Canadians safe and predictable income streams when they retire, which means they can count on their pension payouts to continue consuming in their golden years. More consumption means more economic activity, more government revenue from sales and property taxes and less money spent on guaranteed income supplements (GIS) to individuals living in pension poverty. All this will help Canada's long-term debt profile, something which should please the folks at the Fraser Institute. Lastly, all these claims that private savings plans are "more flexible" should be taken with a shaker of salt. "Pay down your mortgage" on your grossly over-valued house or condo and "pay down student debt" while you retire in poverty doesn't really offer Canadians the flexibility they need or want. In short, all these studies and articles criticizing the ORPP are fundamentally flawed and grossly biased to the point where I'd be embarrassed if I had my name on any of them. These Canadian think tanks are nothing more than claptraps for Canada's powerful financial services industry. I would ignore anything they publish on public pensions. Below, a Fraser Institute video on the effects of increasing CPP contributions. Watch this drivel and keep in mind all my comments above. Now more than ever, we need to enhance the CPP for all Canadians and ignore think tanks that claim otherwise.